CORTLAND, N.Y. - Kasey Mitchell and Sydney Pirreca still remember the timeout that altered the course of Mount Sinai's victory over Skaneateles in the 2013 state girls lacrosse championship game. "We were down 3-0, called timeout, and that's when everything changed," Pirreca said. Said Mitchell: "We told ourselves to be more aggressive . . . We were able to dig ourselves out of a hole that game but didn't want to be in that situation again today against them." The start to that game served as a reminder coming into Friday's state Class C semifinal between Mount Sinai (19-1) and defending champ Skaneateles (18-4). Pirreca got the ball and darted half the field, using her agility to get in front of the net for a goal just 2:28 into the game. And so the tone was set. 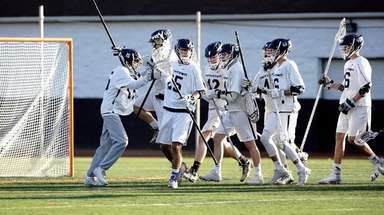 Led by Mitchell's five goals, the Mustangs made sure they were the aggressors early and often in their 13-7 win. Mount Sinai will play Honeoye Falls-Lima for the state crown at 9:30 a.m. today in Cortland. The Mustangs followed Pirreca's opening goal with scores by Jess Demeo, Meaghan Tyrrell and Mitchell to take a 4-0 lead with 14:45 to go in the half. 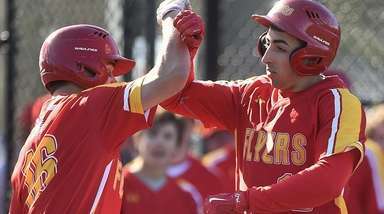 "Coming out hard, putting the first few points on the board is always a huge positive energy- booster for the team," said Pirreca, a senior who had two goals and is committed to Florida. "I think getting out to that lead is what helped us stay composed when they started to chip away." Skaneateles cut its deficit to 4-2 with 11:30 left in the half on goals by Bailey Herr and Kyla Sears, but Mount Sinai answered right back. 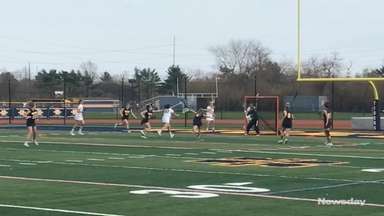 A pass from Tyrrell set up Pirreca for her second goal of the game, and Mitchell backhanded a shot for her second goal to put Mount Sinai up 6-2. 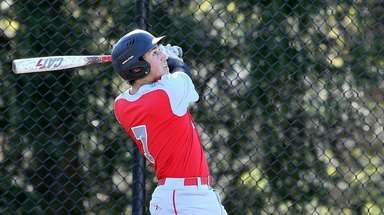 "We always focus on starting fast," said Mitchell, a senior who is committed to Stony Brook. "If you come out slow, you're going to miss your opportunity." The only instance in which the Mustangs slowed the entire first half came in the final minute, when they stalled for the final shot. Caroline Hoeg took a shot that ricocheted off the crossbar, but she corralled the rebound and fired it into the net to send the Mustangs into the break with a 7-3 lead. Tyrrell and Hoeg each scored two goals. The Mustangs held a 15-7 draw control advantage thanks in large part to Mary Ellen Carron (seven draw controls) and Mitchell (five). 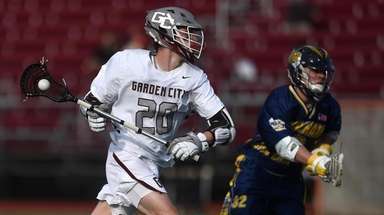 "In a game like this," coach Al Bertolone said, "knowing that they really wanted to beat us after two years ago, and they're the defending state champ, draw controls and possession were huge."